It's a tough day. The stress levels between LRUN and I are unmeasurably high. 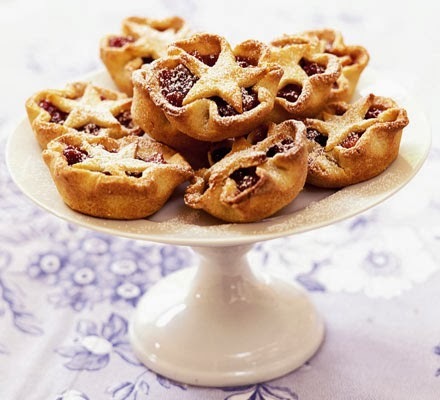 Firstly because Christmas is rapidly approaching and all I have done so far is made some mince pies which LRUN has practically eaten all of already. But also because we have a big decision to make. Things are powerfully tense but we don't want LBM to pick up on this so we soldier on. Miss Scarlett's visit goes well. She stays longer than normal. Why do these social workers seem to be so comfortable in my home? She too is fascinated by my pom poms. All in all she is very pleased with LBM's transition and we chat casually about the joys of parenthood. Eventually, I feel we need to broach the subject of the new Jellytot. We explain we just don't feel ready to make this decision and will they let us have more time. She empathises with us and says she will certainly request this. But we still need to call Miss Delia. I make LRUN do it. I'll only come across as being too enthusiastic. He explains we are cautiously interested but need more time. She seems happy with this. Jellytot's final care order is only due in January so we have a bit more time. Time to process our thoughts. To do what is right for LBM. For us as a family. I am feeling hugely emotional. And the tears come freely. I take LBM and the dogs down to the marina for a sunset walk. It is the most amazing evening. Big skies. Perfectly calm. We witness the most incredible sunset and my spirits are already lifted. Tomorrow is another big day. We are meeting the Fairy godmother and I'm nervous. I feel it is too soon for LBM and I am worried about him. But they assure me it is the right thing to do. We meet amongst the deep red autumnal leaves in the park in town. LBM instantly recognises her and Baby Button. He smiles and giggles and we chat over lunch about him and how he is settling in. She hand us his memory box. A huge box filled with all his treasures. I give her a thank you card. Tucked inside are some restaurant vouchers for them to enjoy as a family together. As we go to leave, she kisses those irresistibly kissable cheeks of his and I can see the tears forming in her eyes. LBM seems disinterested. She is sombre and turns to go. I ask her if it's ok if we keep meeting up and her eyes light up. She really misses this little guy. It's a crazy afternoon and it's only when LBM is tucked up in bed that I remember his memory box. We pour a huge glass of wine and open it cautiously. It's filled with cards, photos, clothes and memories from his time with the Fairy Godmother. She has done an outstanding job. There are even a few photos of him with the Jellytot. Ok, to be fair, he has her in a head-lock but it's a sibling photo none-the-less. Right at the bottom is a small gift bag from his tummy mummy. We peer inside and find a tiny trinket. There engraved in the centre it says, " I will always be with you" Wow...hold those tears. Hold them!